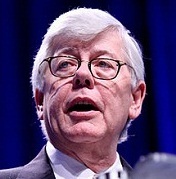 Most analysts trace Newt Gingrich’s stunning come-from-behind victory in Saturday’s South Carolina primary to his performance in the two pre-primary debates and in particular to his handling of the home-run pitches thrown him by Juan Williams and John King. Always a warrior, Mr. Gingrich did a great job, but his win was possible only because of the less-than-adequate debate performance of the man he overtook and resoundingly defeated. Mitt Romney should have won the South Carolina primary going away but managed in less than a week to undermine his claim that he alone can take on and defeat President Obama in November. In two uninspired debate performances, the former Massachusetts governor mishandled questions about his income, professional background and tax returns that he had to have expected and should have been prepared to knock out of the park the way Mr. Gingrich did when he encountered an expected personal attack. In the process, Mr. Romney managed to persuade growing numbers of Republican primary voters that perhaps he has what amounts to a political glass jaw and isn’t the best man to take on a talented, tough and articulate incumbent. The questions about Mr. Gingrich’s ability to beatMr. Obama while hefting as much baggage as he carries continues to trouble many GOP voters, but if they have stopped believing that Mr. Romney can do much better, they are likely to opt for the passionate, visionary Georgian over the buttoned-down Yankee technocrat. For Mr. Romney, the problem is more than just serious. It could prove fatal because he has built his entire campaign on the historically questionable proposition that Republicans this year would vote for him as long as they believed him more “electable” than the competition. Until he hit South Carolina, his supposed electability did seem to be trumping the passion and vision of others in the field. Mr. Romney didn’t seem interested in appealing to the passions of the GOP’s conservative base or talking positively about his vision, but in convincing Republicans fedup with and fearful of another Obama term that he could win, that he alone could actually beat Mr. Obama. Mr. Romney strove for acceptability on issues but based his argument on practical considerations - arguing that for one reason or another, his opponents were too narrow, carry too much baggage or are for other reasons incapable of going toe to toe with the incumbent. Put simply, Mr. Romney and his managers thought they could get to the nomination by portraying him as the embodiment of the candidate William F. Buckley Jr. always sought: “the most conservative candidate capable of being elected.” In most primaries, voters simply don’t apply the Buckley test because they are seeking the candidate they most “like” or with whom they most strongly agree rather than the candidate they think is most electable. But this year seemed different because the reason Republicans are motivated stems not from their admiration of any of the candidates but from their bone-deep conviction that the country may not be able to withstand another four years of the Obama administration. What killed Mr. Romney in South Carolina was not that he was wrong or that voters went with their hearts rather than their heads, but that they became gradually convinced that maybe Mr. Romney isn’t as strong a candidate as they had hoped and believed. As they lost faith in his electability, there was little to fall back on, and his support evaporated quickly. It’s too easy simply to credit Mr. Gingrich’s performance in the debates, his passion and his ability to turn his media critics’ barbs to his advantage as the reasons for his win. It is more accurate to pair his performance with that of Mr. Romney who didn’t seem capable of dealing with simple questions he had to know would be asked and who looked even as he argued the case for free enterprise that his success as a businessman was a source of embarrassment rather than pride. As Mr. Romney and Mr. Gingrich head to Florida, Mr. Romney has but a week to get his act together. Mr. Gingrich will continue to perform as only he can, but Mr. Romney has to concern himself with his own performance and his ability to connect with voters - and he has to do it while sharing a stage with Mr. Gingrich. He didn’t act like the most electable candidate in South Carolina, and he won’t win in Florida by arguing that he is. He’s going to have to loosen up, take his audience into his confidence and let the voters know he doesn’t want just to beatMr. Obama, but to turn the country around. Mr. Romney has money and a political infrastructure in Florida, but simply relying on either this year won’t do it, and he won’t win simply by attacking Mr. Gingrich. Those who know Mitt Romney know him to be decent, talented and essentially conservative. In private he can be both inspiring and likable. Supporters are convinced he has what it takes, in fact, to be the president Americans are seeking. The qualities that convinced voters before he stumbled in South Carolina are there but have not been on display. That had better change as Florida voters prepare to head for the polls next week, or the most “electable” candidate in the field could be headed for political oblivion.